Love being a bit scared? Love playing as a team with friends? Then look no further as Lady Chastity escape room has it all. We went to the one at The Hope Pub in London but you can also play this game at London’s The People’s Park Tavern, London’s The Four Thieves Pub and The Worlds End Pub in Brighton. Lady Chastity involves cracking many puzzles from her mysterious belongings with a little help from host Gabriel. It involves bravery and your wits against her strange contraptions during this surreal game. Will you crack the clues within the 60 minutes and leave with Chastity’s fabled bottle of aphrodisiac wine. This game is for adults of 18 and over, as Chastity does have some slightly sordid secrets and there are moments that could shake up weak minded souls. To book a game at any of their venues click here. 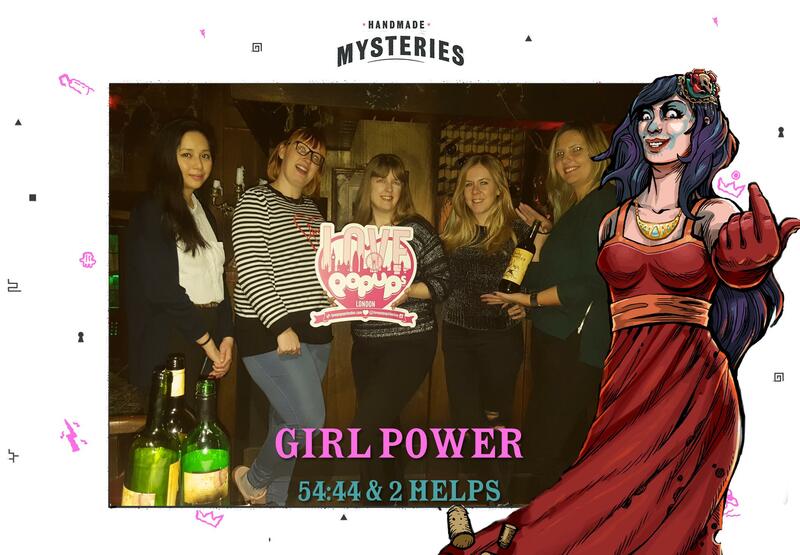 Thanks to Handmade Mysteries who let some members of the community of Love Pop Ups London come down to play a creepy yet thrilling escape room. Read all blogs/reviews from the comments section below. A really unique escape room experience.